Aspect Toilets & Cisterns - From Only £153.99! In stock now for just £153.99 including VAT! Hurry while stocks last! The Aspect Toilet & Cistern boasts a timeless, eye-catching design which would be a perfect addition for any style of bathroom. Whether yours is a traditional, vintage setting or a cubic, modern masterpiece, you can rest assured the Aspect range will be the perfect accompanyment. Combining stunningly smooth sloping lines with cubic, eye-catching design elements, this superb range offers style, quality and value. With a stunningly smooth gloss finish and tall, sleek shapes, Aspect is quickly becoming one of our most popular lines. Our range of Toilets, Cisterns and Seats are the ideal choice for any bathroom. Complete your new bathroom with a stylish and intelligently designed toilet bowl, seat and cistern from VIP Bathrooms. The toilet is a vitally important part of any bathroom. Not only does it need to be functional and comfortable, but it is also required to fit the aesthetics of your bathroom and fit in seamlessly. Therefore, we offer concealed cisterns along with our toilets providing the ultimate in cistern elegance and functionality for that minimalistic and understated look. 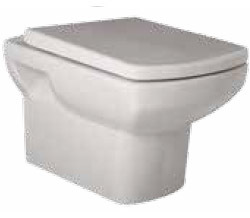 The Aspect Toilet & Cistern is available in a variety of styles and sizes. Designed to suit any bathroom setting, the Aspect Toilet & Cistern comes in a wide range of types. Rest assured that no matter your requirements, there's the perfect option to suit your needs. You can easily select your preferred choice from the drop-down menus near the bottom of this page. The Aspect Close To Wall WC Pack - Only £229.99 inc VAT! The Aspect Back To Wall WC Pack - Only £153.99 inc VAT! The Aspect Wall Hung WC Pack - Only £153.99 inc VAT! 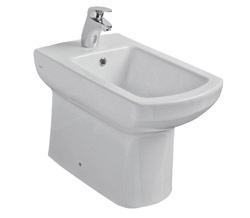 The Aspect Bidet - Only £94.99 inc VAT!